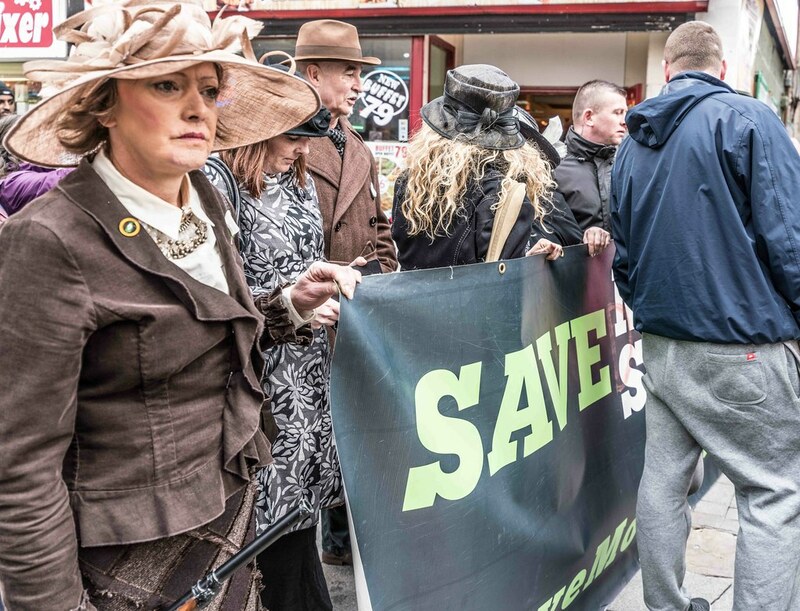 Moore Street was one of seven sites chosen for simultaneous wreath-laying ceremonies at 1.15pm, to mark the first shots from the GPO on Easter Monday however protesters heckled Heather Humphreys a government minister. 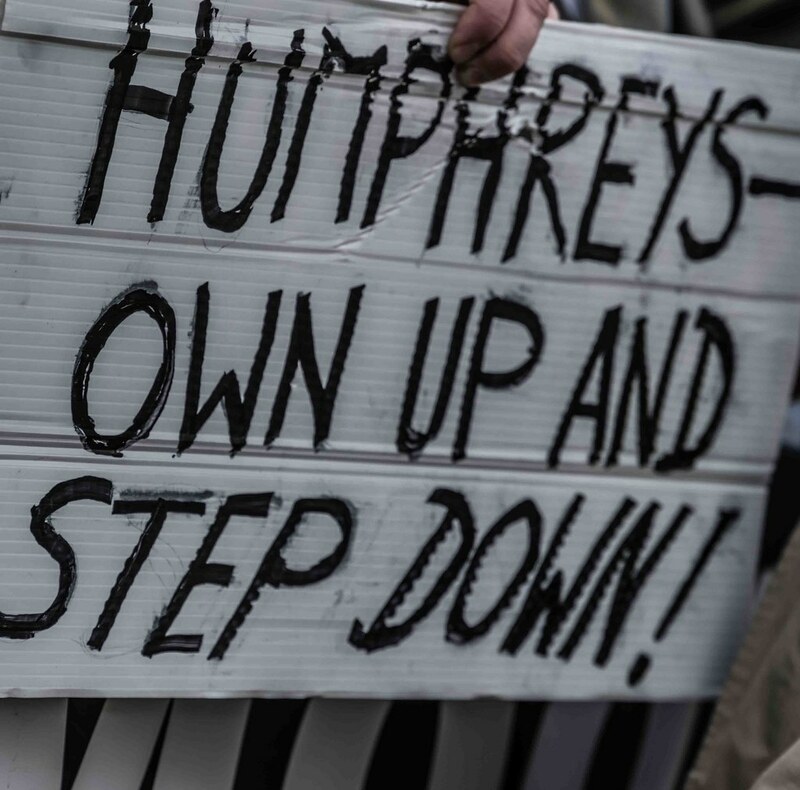 Shouts of “shame on you” and “out, out, out” came from the crowd as Ms Humphreys laid a wreath. 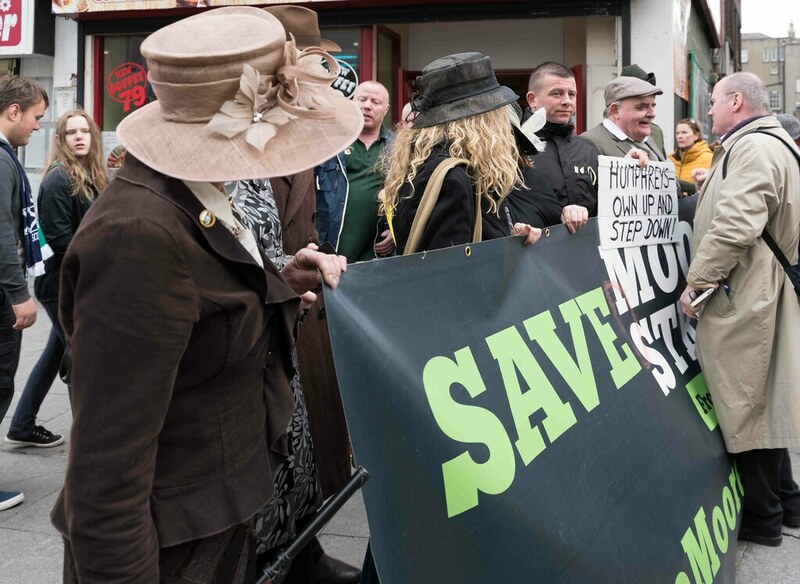 Ms Humphreys has recently been criticised over her department’s stance on the protection of buildings linked to the Rising on Moore Street. Numbers 14-17 had been designated a national monument but the High Court earlier this month ruled the protection should be extended to numbers 13-19 as the properties were a battlefield site. 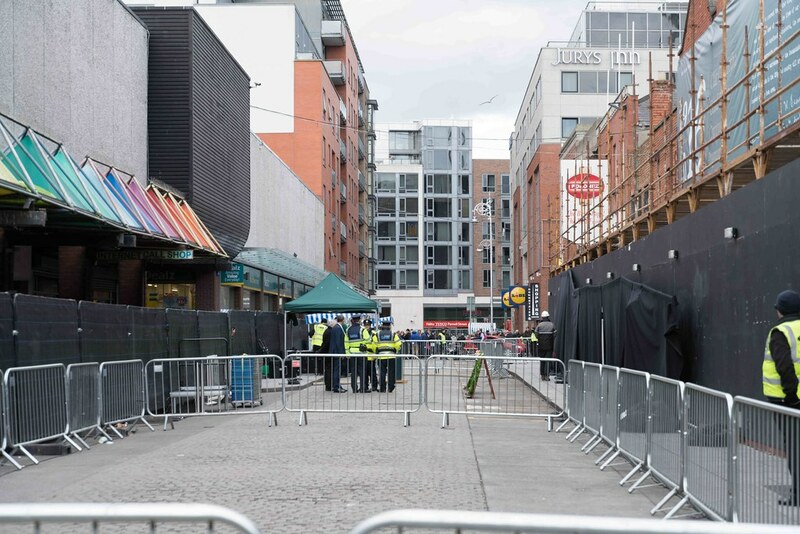 The Minister argued only one terrace at 14-17 Moore Street, including No 16 where some of the leaders met for the last time before their execution was a national monument. Her department had argued the other buildings were “not historically important”.